Jupl, New Zealand’s leading developer of mobile health and safety solutions, announces partnership with Sapio Australia. Sapio formally known as Telstra SNP is Australia’s largest owned and operated electronic security and monitoring provider. The partnership brings together the Jupl cloud and app suite along with Sapio’s monitoring team. The first wearable monitoring product release is the Geroe Personal Protection Safety Watch, an at-risk worker duress monitoring device connected to the Jupl platform and Sapio’s 24/7 monitoring teams. Jupl co-founder Sir Ray Avery said “Our partnership with Sapio is indicative of Jupl becoming a maturing business. The maturity and robustness of our cloud based platform which utilises the proven Samsung hardware now offers us opportunities to diversify into new markets such as the at-risk worker safety market. Jupl, New Zealand’s first truly mobile connected health and safety company, is launching online customer sales. Jupl uses the Samsung Gear S3 watch in conjunction with its own cloud-based monitoring and analytics system. This, in collaboration with Spark and Cisco Jasper, ensures customers can stay connected wherever they are in Australia and New Zealand. The Jupl Safety Watch allows a wearer to nominate a carer (family member, friend, or employer) to receive emergency alerts should they become distressed or feel vulnerable. It is a fully mobile device with its own connectivity to the mobile network. “We have established a successful business to business market with our ANZ channel partners, and are repeatedly asked by individuals where they can purchase a Jupl Safety Watch directly for their loved ones that live independently and/or employees that work alone and often remotely. So, in response to this, we built a wearable self-monitoring consumer product which can be purchased online” continued Brannigan. “Existing landline based personal emergency response services are subject to power and telephone line outages and these are becoming more common with extreme weather conditions. The Jupl Safety Watch overcomes these issues giving our customers and their caregivers peace of mind. I’m very proud of the technology the Jupl team have developed” said Sir Ray. 1 March, 2018 Auckland New Zealand / Sydney Australia – New Zealand technology developer Jupl has partnered with Survivor Watch, Australia, to support victims of domestic violence. Jupl’s solution uses a Samsung Gear S3 smartwatch with a built-in discreet alarm, which allows a victim to seek help at the press of a button, alerting a nominated carer to their current situation. Survivor Watch was Co-Founded by Sy Laga’aia, who is passionate about empowering people to help the deal with situations in which they might otherwise feel helpless. The Survivor Watch series are marketed in Australia to lone workers, the elderly, high-risk environment workers, travellers and individuals that are impacted by domestic violence and bullying. Laga’aia, a former bodyguard, says he has a natural tendency to protect. “It’s in my genetic make-up – it’s just how I’m wired. To finally have a tool like this to help support those who suffer from domestic violence is an absolute break-through. Domestic violence statistics are growing rapidly and impact every facet of society, so to be working with Jupl on this project is fantastic – it’s an exciting and very worthwhile opportunity,” says Laga’aia. 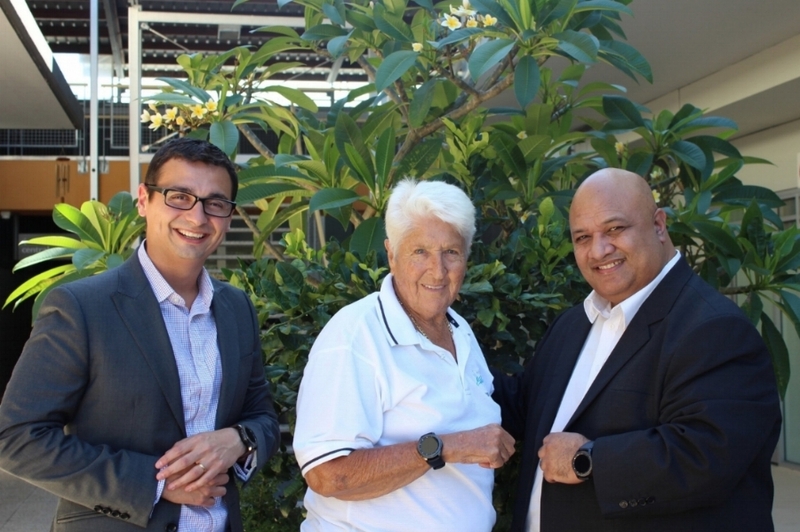 Australian Olympic swimming legend Dawn Fraser has volunteered to be an ambassador for the Survivor Watch campaign. Fraser, who in the past was a victim of domestic violence herself, says she knows how devastating and frightening violence in the home is. Sir Ray Avery, Jupl co-founder and healthcare inventor, says that the Jupl technology is ground-breaking and will impact positively on millions of peoples’ lives. whether in healthcare or other critical areas such as domestic violence,” with Jupl you are never alone, help is just a fingertip away.” says Avery. Auckland, New Zealand / Sydney, Australia, 08 February 2018 – Jupl New Zealand’s innovative developer of mobile healthcare applications, has signed its first Australian partnership supply agreement with one of Australia’s largest connected health solutions providers, Frontier Networks. Frontier Networks is the exclusive supplier of connected health solutions to several of the largest retirement living and aged care providers in Australia and undertook a global selection process to determine the best healthcare technology partner. Alongside their home based personal emergency solutions, Jupl’s mobile application integrates with a Samsung Gear S3 smartwatch and Cisco Jasper’s cloud service, to deliver wearable, always-on remote healthcare services. The Jupl application provides around-the-clock support for the wearer (and their carers) through GPS and activity monitoring, as well as allowing critical alerts and reminders to be received. The application also incorporates a mobile phone app for carers to receive updates on the wearer, should the wearer become distressed. Alan Brannigan, Co - founder and CEO of Jupl, says the solution evolved as a result of thousands of hours of collaboration between Samsung, Cisco Jasper, Spark and Jupl. 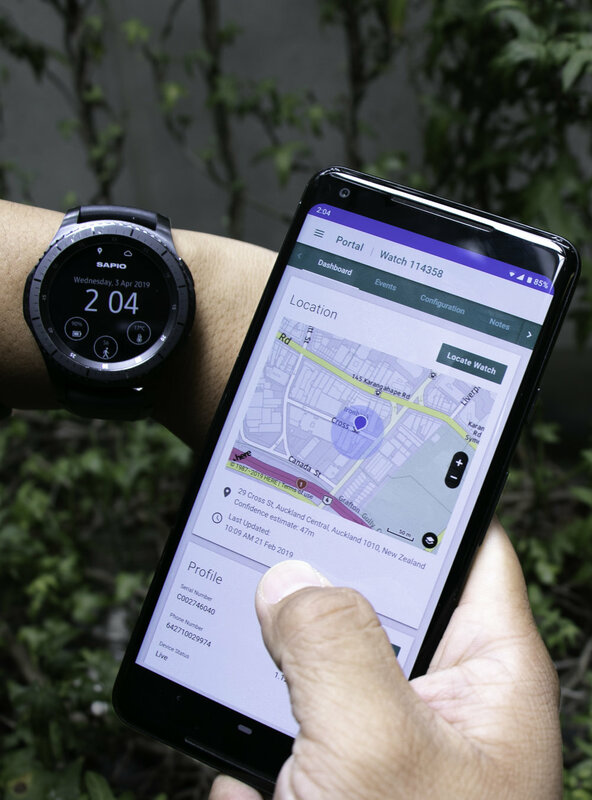 “The solution was made possible, in large part, by the roaming capability of the Samsung Gear S3 Smartwatch, in conjunction with the embedded SIM solution provided by Spark, and managed using the Internet of Things (IoT) connectivity platform provided by Cisco Jasper,” says Brannigan. The Gear S3 is the first smartwatch with an embedded SIM, meaning it is essentially a mobile phone and doesn’t require any other device or phone for transmitting information. The contract between Jupl and Frontier Networks was finalised at the inaugural Samsung Healthcare Summit held in Sydney late last year. The event showcased how technology is being utilised alongside the Samsung suite of products to enhance healthcare today and what can be expected in the future. Gui Feijo, Jupl’s General Manager in Australia, says Jupl has been running multiple product trials and case studies throughout Australia in the past year, gaining experience and traction in the Aged Care and Lone Worker environments. According to Feijo, the partnership with Frontier Networks is the first of several expected to come to fruition in the next few months. “This is a fantastic win for the Jupl team and a great way to lead into the new year. We are very excited to be working with the Frontier team,” says Feijo. Sydney, 29 November 2017 – Jupl, a New Zealand software company, is showcasing leading edge wearable Healthcare technology at the inaugural Samsung Healthcare Summit being held in Sydney, today. At todays’ Samsung Summit at the Hyatt Regency, Jupl is showcasing disruptive healthcare and lone worker wearable technology that was developed following an intensive international collaboration between Samsung, Spark and Cisco Jasper and software company Jupl. Sydney 18 October 2017 – The IRT Group (IRT) today announced that it has teamed up with Jupl, an innovative New Zealand software company, to trial the latest in wearable health technology. Jason Malone, Chief Executive, IRT Care, says the trial is an initial pilot to test the latest in wearable healthcare technology. “Our goal is to deliver the best quality healthcare possible. This pilot programme is the next step in delivering improved aged healthcare, by providing our residents with the latest technologies that will allow them to enjoy a better quality of life,” said Malone. The constant worry that families live with when a loved one is in the early stages of dementia is all consuming. “For many people living with dementia and their families, it is their wish to live in their own homes for as long as possible while staying safe and well.” Said Alzheimers NZ chief executive Catherine Hall. The first fully connected health and safety Smartwatch is about to hit New Zealand. “This technology is a world first and will transform the way we look at personal health and safety. It is a great example of Kiwi innovation,” said Jupl Co-founder Sir Ray Avery. “Gui has a deep understanding of the Australian PERS market, having spent the last five years running Vitalcall, Australia’s largest PERS provider. Jupl’s innovative approach to the PERS market was attractive to Gui, who is keen to build on our successes with foundation customers like BUPA and St John to help make Jupl a household name,” says Brannigan. Vigil Monitoring, co-founded by Sir Ray Avery and Alan Brannigan, has announced it will change its name to Jupl, effective immediately. The company says the name change is part of the preparation for its next major growth phase and will allow it to present a consistent brand in international markets. Vigil Monitoring celebrated success in the New Zealand Hi-Tech Awards held in Christchurch on 16 May. Recognised leader of the aged care and independent living sector, Norah Barlow will join the board of Vigil Monitoring as an independent director from 31 July 2014. Telecom has joined forces with Sir Ray Avery's technology startup and is planning to invest up to $5 million in the business, which is developing a wristband that constantly monitors someone's vitals and uploads and stores the information online.